Organization : Pragjyotish College Guwahati. 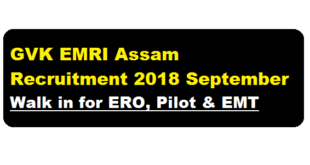 According to the latest GVK EMRI Assam recruitment 2018 September, GVK EMRI Assam invites candidates for walk-in interview for filling up ERO , Pilot & EMT posts. 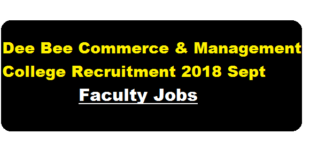 The details of the vacancy are discussed in below section. Organization : Guwahati Biotech Park. Guwahati Biotech Park [GBP] is a visionary project launched by an autonomous society under the Government of Assam which aims to change the economic condition of the region and the state by increasing the opportunities for the citizens of North Eastern and Eastern India. 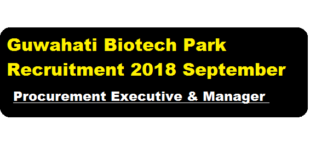 In a recent Recruitment notification for the month of September, Guwahati Biotech Park invites applications for filling up of the following positions by direct recruitment on contractual basis. We have discussed about the posts in the below section. 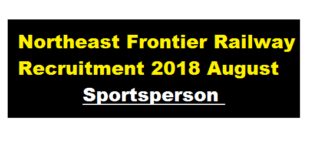 Northeast Frontier Railway has recently issued recruitment notification for August 2018 and the vacancy is in sports category. 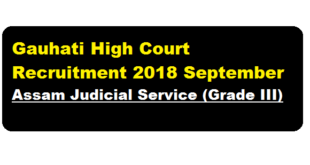 According to NFR Recruitment 2018 August, Applications are invited from eligible citizens of India for appointment of sports persons through open advertisement against the various sports discipline in Northeast Frontier Railway. We have discussed in details about this railway recruitment 2018. 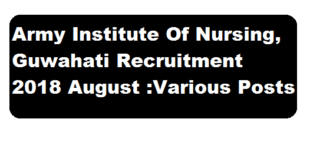 Organization : Army Institute of Nursing, Guwahati. 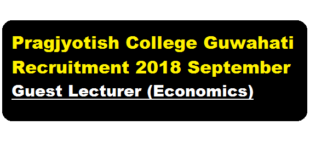 Army Institute Of Nursing, Guwahati has published a recruitment notification for August 2018. 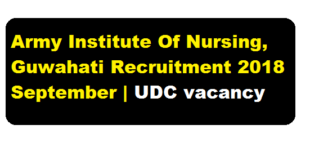 According to the latest Army Institute Of Nursing, Guwahati Recruitment 2018 advertisement, Army Institute of Nursing, GHY invites applications from suitable candidates for filling up Associate Professor , Tutor and Storekeeper Posts. We have detailed information shared in below section. 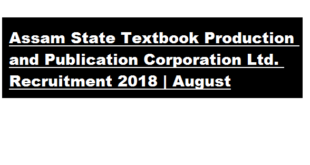 Organization : Assam State Textbook Production and Publication Corporation Ltd.
Assam State Textbook Production and Publication Corporation Limited has issued a recruitment notification in the month of August 2018. Applications are invited from Indian citizens for filling the following vacant posts in Assam State Textbook Production and Publication Corporation Limited (a Govt. of Assam undertaking), Guwahati. 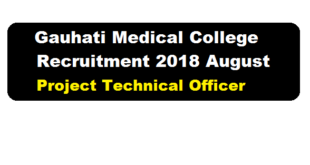 Gauhati Medical College has published a recruitment notification in the month of August 2018. Applications are invited from eligible candidates for a walk in interview to be held on 20th August, 2018, from 10:30 AM to 12:30 PM in the office of 200 Bedded Cancer Hospital, Gauhati Medical College for the following posts for the project “Setting up of Hospital Based Cancer Registries and Patterns of Care and Survival Studies on Cancer Breast, Cancer Cervix and Head and Neck Cancers under Regional Cancer Center”.